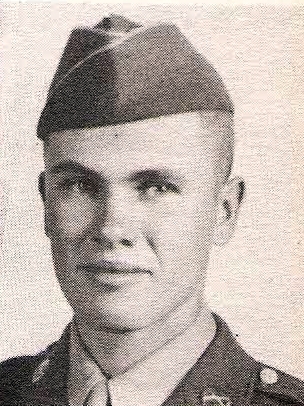 T/5 Kenneth G. McGee, son of Mr. and Mrs. O. L. McGee, Loving, graduate of Graham High. Entered Army Paratroops, 1944, trained at Camp Wolters. Texas and Ft. Benning, Ga. Served in Philippines and Japan. Awarded GC, Pres. Citation and APO Ribbon.